I would like to thank you and your staff for making my daughter’s, Erika and my diving in Thailand a truly wonderful experience. 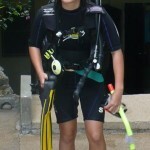 Erika is 12 and after doing a lot of internet research I chose Dive Asia as the facility for her initial instruction. 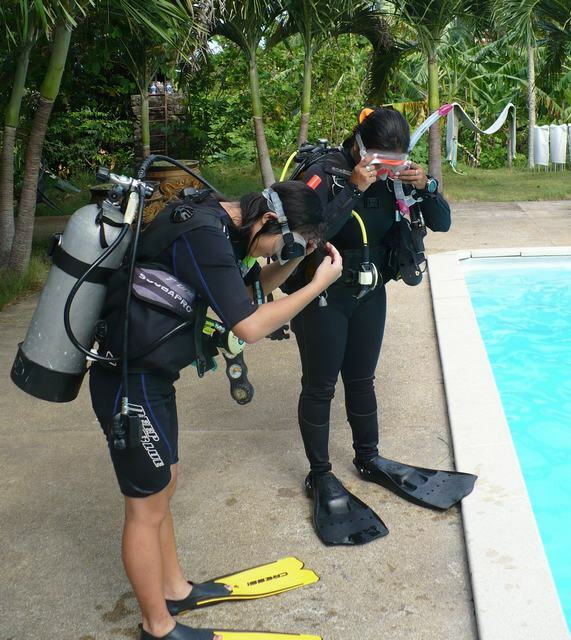 All the positive reviews just scratch the surface in complementing the Dive Asia operation. The positive experience started with the detailed program you offered for both of us via email, it was explicit and flexible enough to adjust to our travel parameters. 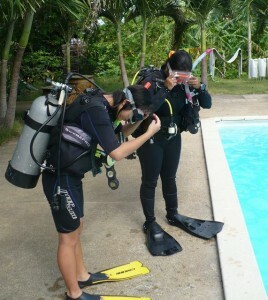 It allowed her to learn independently while I had the opportunity to dive with my daughter. When we arrived in Karon Beach we stopped into the office where we were greeted by a friendly and extremely knowledgeable staff. They treated my daughter with respect and in a way that gave her added confidence for the upcoming experience. When they realized I had not dove in more than 4 years they insisted in a refresher course for me. I truly appreciated that aspect as my re-qualification was done alongside Erika which demonstrated to her the importance of keeping one’s skills current. I enjoyed the refresher and just to let you all know Erika could “ride” the cylinder and re-don her BCD faster than Dad. You matched my daughter and I with Vicky, she worked wonders with her gentle ways and patience, while at the same time displaying an extensive knowledge in diving skills and how to transmit that knowledge to both a 12 year old and 59 year old. Vicky is to be commended for both her water skills and teaching ability. The last 2 dives were with Simon, he gave Erika the space she needed to boost her self confidence in the water and yet was close and surveyed her movements and technique like a hawk. The boat crew and all dive masters worked as an efficient team, I have been on a lot of dive boats and have never seen the efficiency and teamwork that was demonstrated by all aboard Dive Asia II. We have already recommended Dive Asia to other potential customers here in Dhaka and rest assured you will see Erika and me again in the near future. Your team have awakened the underwater world to a 12 year old and rekindled the passion for diving in her father.